Arnesby is a small village mid-way between Leicester and Lutterworth. The parish contained weavers in the 17th and 18th centuries and many framework knitters in the early 19th century, but when that industry collapsed in the 1840s its economy began to rely solely on agriculture. Eight nonconformists were reported to be living here in 1676. 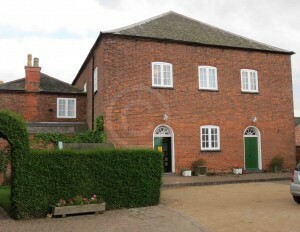 Although the minsters at Arnesby and Kilby were not ejected following the Restoration, a number of parishioners appear not to have welcomed the 1662 Prayer book, and just a year after its introduction, Richard Farmer of Kilby began to lead a Baptist meeting at weaver Joseph Blythe’s house in Arnesby. By 1669, about 20 people were meeting there illegally on Sundays. Richard Farmer became the pastor at Kilby, but a number of their congregation, including Benjamin Winckles of Arnesby, fell out with Farmer’s successor, Henry Coleman. Winckles gave land for a chapel in Arnesby, which opened in 1702, and also provided an endowment of 15 acres of land. The congregation had 104 members in 1706. Many of those lived outside the parish. Vicar Samuel Grimston advised in 1706 that there were 40-50 families in the village, including 7-8 families of dissenters, who were all Baptists. The numbers collected by John Evans at about the same date record 200 hearers at the meetings, including 24 people qualified to vote. A chapel was registered in 1757. 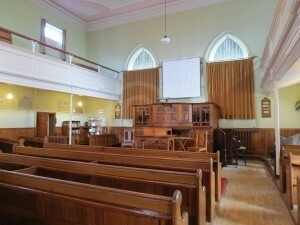 This was replaced by a larger Particular Baptist chapel in 1799. The original building became the manse stable, and later still, a garage. It is said that the Baptists invited Robert Hall to Arnesby to be their minister in 1753, and although he had been born and lived in Northumberland and they could only afford £15 annually for his stipend, he accepted their invitation. Hall wrote ‘Help to Zion’s travellers’, a book which inspired William Carey, the Baptist missionary. Hall’s youngest son, Robert Hall junior, was for a time a minister at Harvey Lane Baptist church in Leicester before settling at Bristol, and has been described as ‘the greatest pulpit orator of his time’. This was the only nonconformist congregation reported as meeting in the village in 1829, with a congregation said to number 400 people. That was its full capacity, recorded in 1851 as 70 free seats and 330 other. Membership of this church shrank in the late 19th and early 20th centuries, from 96 in 1881 to 49 in 1911. Attendance at the Baptist Sunday School reduced over the same period from 80 to 47. Smaller, but still substantial, congregations attended on 31 March 1851: 138 at morning worship, 180 in the afternoon and 80 at the evening service. A Sunday school met in the morning and afternoon, attended by 84 and 85 people respectively. Pastor Joseph Davis commented that attendance that day had been below average. In addition to the Particular Baptist chapel, trade directories note a second chapel in the village from the early 20th century, described in 1908 as United Methodist, but by the same publisher in 1916 and 1928 as Baptist. A. Whiteman, The Compton Census of 1676: A Critical Edition (London, 1986), p. 335. Kelly’s (1916), p. 21; Kelly’s (1928), p. 24.